Our guest blogger today is Joi Copeland who is married, has three boys, and is living the dream in Denver, Colorado. Joi loves being a wife and mom and also enjoys spending time with friends over a good cup of coffee or tea. 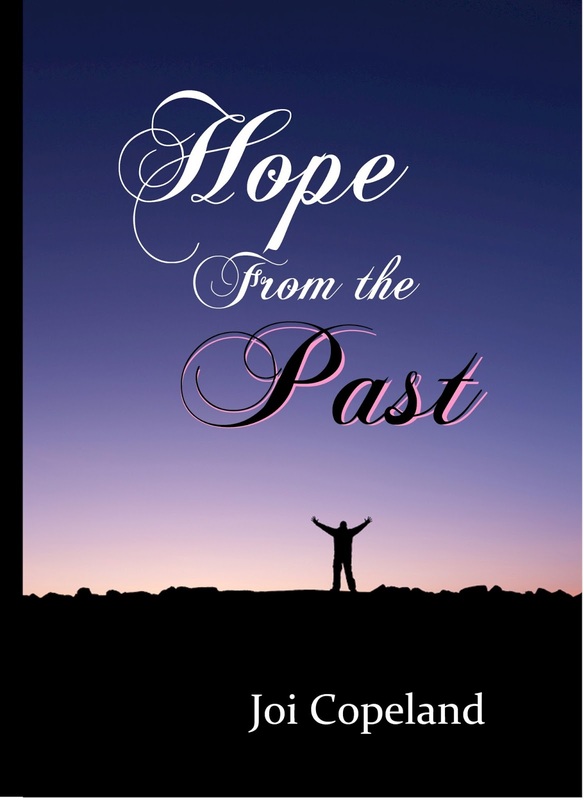 She's been a Christian for over twenty years and is the author of Hope for Tomorrow and Hope for the Journey. Joi has graciously given me a copy of her new novel, which one of the commenters will win. JOI: I've been married for 14 years to a wonderful man and have three boys. We've lived in Denver for almost 5 years now, and I love it! JOI: I had an extra thumb on my right hand when I was born. My parents had it cut off, but it was so rare at that time that the doctor put it in his medical books. JOI: Reading, drinking coffee, spending time with family and friends. JOI: I've always loved writing. When I was younger, I wrote stories all of the time. My family sat me down one day in 2008 and told me it was time for me to write. I went to bed a few nights later and woke up with my first novel in my head, Hope for Tomorrow. JOI: Nope. Sometimes it takes me a while. JO: Please tell us about Hope from the Past. JOI: My newest title is Hope from the Past. It's the third and final book in my Hope series. Arthur Hendrickson is running from his past while Steven Sorenson plans his future, and his dad, Jake, just wants to treasure each moment with his wife before the inevitable happens. Three men, three lives, three stories combined into one. JOI: Hope. That's what I desire for this series. JOI: My father was in Vietnam. This book is dedicated to him. JOI: A little bit. I had the opportunity of doing research for Emily's cancer and my dad's time in Vietnam. JOI: Don't give up! God has a plan and a purpose. JOI: I'm working on When Mercy Found Me and Sunshine in Spring. When Mercy Found Me deals with a woman who will never get married and the struggles she has. Sunshine in Spring is the sequel to Christmas Rayne. It's a novella. JOI: Join a critique group! They are so vital. JOI: You can get any of my books on Amazon.com. JOI: You can find me on Facebook, Twitter, and my blog. JO: Thanks for visiting with my readers today. And thank you for giving me a copy of your new book, which one of the commenters to this post will win in a drawing. 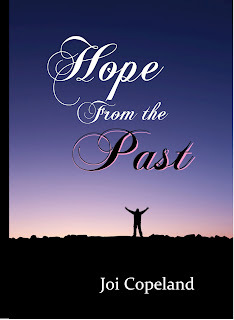 Remember: leave a comment on THIS post by 6 p.m. CT Sunday, June 16, 2013 and you'll be entered in the drawing for a copy of Hope from the Past by Joi Copeland. You must be eighteen, have a U.S. mailing address, void where prohibited. Please, please remember to leave your email address so that should you be the winner I can get in touch with you for your mailing address. I’ll announce the winner in Monday’s blog. Pat, thanks for reading and leaving your comment. Good luck in the book drawing. Emerald, glad you enjoyed the interview. Thanks for leaving your comment. Good luck in the book drawing. Great interview would love to read Joi's book. Diana, glad you enjoyed the interview. Thanks for reading and leaving your comment. Good luck in the book drawing. Shirley, thanks for coming by and leaving your comment. Glad you enjoyed the interview. Good luck in the book drawing. Kim, glad you enjoyed the interview. Thanks for stopping by and leaving your comment. Good luck in the book drawing. Thanks for reading the blog post and leaving your comment. Good luck in the book drawing. I would love to win a copy of this book. Keeping fingers and toes crossed. Love to read. Bgauthier49@live.com. Glad you came by and left your comment. Good luck in the book drawing. Good luck in the drawing! :) Thanks for reading! I enjoy reading books about the Vietnam War; there is so much conflict to resolve. Thanks for having the giveaway. I also follow by email. Rose, you're welcome. Thanks for reading and commenting. I appreciate you following my blog. Good luck in the book drawing. Joi Copeland is a new author for me. I will have to check on her books. Wonderful interview! I enjoy learning about new authors and their books. Thank you for sharing with us. Barbara, glad you enjoyed the interview and also found a new author. Thanks for reading and commenting. Good luck in the book drawing. I am a follower and I would love to win this book. I have a question for Joi, is she related to Lori Copeland? Hi! No, I am not related to Lori Copeland, but I love her writing! I think I've read almost every book she's written! :) Thanks for asking! Glad you came by and left a comment. Thanks so much for following my blog. Good luck in the book drawing. Shelia, thanks for following my blog. Glad you stopped by and left your comment. Good luck in the book drawing. Thanks, Karen! I appreciate you taking the time to stop by! Karen, thanks for reading and leaving your comment. So glad you're a follower of my blog. Good luck in the book drawing. Glad you enjoyed the interview. Thanks for stopping by and leaving your comment. Good luck in the book drawing. I would really enjoy this book. The interview was very interesting too. Glad you liked the interview. Thanks for coming by and leaving your comment. I appreciate you following my blog. Good luck in the book drawing. I'm so glad to get to know Joi better. Jackie, you're welcome. Glad you enjoyed the interview with Joi. Thanks for reading and leaving your comment. Good luck in the book drawing. Veronica, you're welcome. Glad you enjoyed reading about Joi's book. I appreciate you following my blog. Thanks for commenting. Good luck in the book drawing.